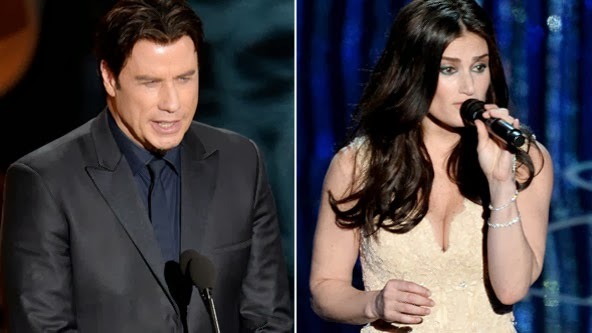 Following John Travolta's mix-up at the 2014 Oscars, where he announced Irina Menzel as Adele Nazeem right before her incredible performance on stage. "I've been beating myself up all day," John Travolta, 60, said. "Then I thought...what would Idina Menzel say, She'd say, Let it go, let it go! Idina is incredibly talented and I am so happy Frozen took home two Oscars Sunday night!" So. There you have it. John knows what he did and poor bugger is kinda mortified. Let's all, er, let it go now, eh?